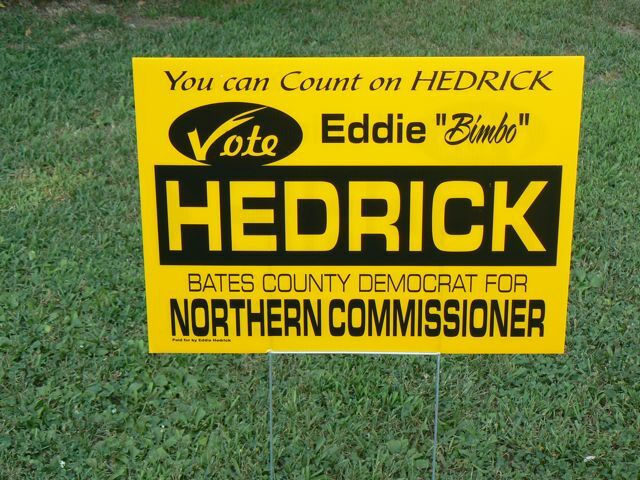 This is the sign from a real campaign for Northern Commissioner of Bates County, MO. Notice anything strange about it? So we can count on your vote tomorrow, then?